Everyone has heard about the ordeal Kim Kardashian went through in a Paris hotel and many people across the world have suffered the same terrifying ordeal and had to learn to live with it. The people who inflict this kind of trauma on others will meet their justice. If not at the hands of man, they will meet justice from a much higher and less forgiving power. 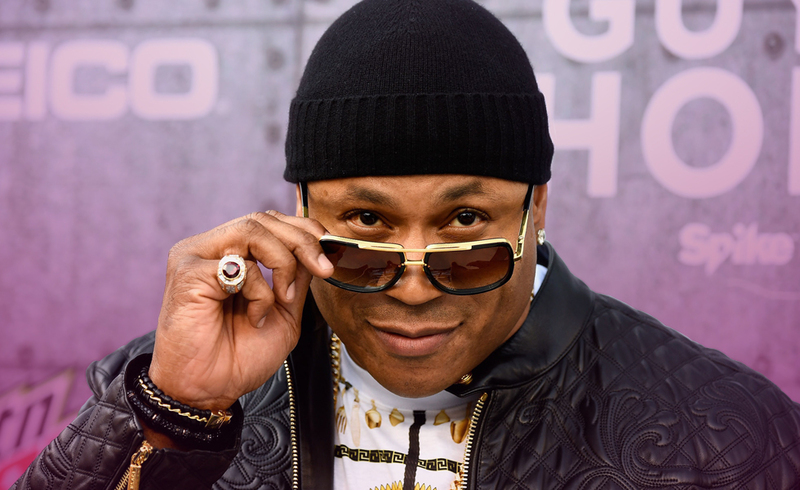 However, Karma can sometimes deal justice instantly and it did so when a burglar tried to break into the home of LL Cool J. The Rapper turned actor soon put his NCIS training into action leaving the burglar with a broken nose and jaw. He then dragged him out and detained him for police. Now that is Karma at her best. LL, I admire your style. These people go through live destroying others so that they can have what they want. They have no remorse for the lives they destroy and the damage they leave in their wake. I know that Karma will have its day with them, but It’s much more satisfying when they meet justice while the crime is being committed. Some will claim it’s poverty drives them to it. I believe that’s rubbish. Having grown up in a large family where money was scarce, we learned to work for what we wanted, and respect others. As did many people in the same shoes. So, what you did that night was justified. Without knowing it, you saved many others from falling victim to this monster while he continued to destroy lives to better his. Now I know that Karma will repay your brave act in her own time. She repays good as well as bad. But for now, let’s throw a few cards out and see what they say is in line for you. You have many amazing talents. Although the world sees the confident person on the stage, there is a deep and private soul that is happy to stay that way. You know what is right and what is wrong, even before the world thought it to you. This is probably why the lyrics of the songs come so easy. They come from a place where the soul dwells and they aim to improve the world for all. This lady is the lady of Justice and you did her bidding on the night in question. She called, and you answered with everything you had. As I said earlier, you didn’t just protect your home that morning. You protected the many other homes that would have fallen victim to that person. The fear he felt while you were delivering it, will give him a little taste of what his victims would be feeling. This card is the card of love and there is much of it around you. Sure, some will be false and some will be true but this is the curse of the celebrity world. Knowing the difference will save you a lot of heartaches but when we are in out darkest moments, it’s the genuine ones who want to be around us. Even when there are a million other places for them to be. So, trust your instincts on who is who. There are deeper sides to your soul. I’m not going to go there and knock your street cred, but let’s just say you know what is right from what is wrong and that’s not just because you were taught it. You were born with a sense of justice. This can and will be used for the better of all those who know you. Your career has another twist to it which should be visible about mid-summer 2017. Be open to change. Previous ArticleWhat drove Patton Oswalt to the brink of despair?Next ArticleMariah Carey and James Packer. Taking a break?